Based on a personal interview focused on individual/family lifestyle and other criteria, we identify the products that best meet your immediate and long-term needs. We will work closely with any architects, builders, or interior designers that are involved with your project. Then, taking into account your design and aesthetic preferences, your living circumstances (e.g., moving soon) and existing home infrastructure (e.g., structured wiring, no wiring), we design an environment that integrates all of these products into one or more "home networks". 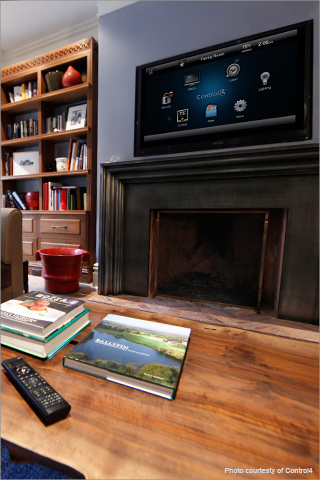 These home networks allow the component products to communicate with each other and any personal computers in the home as well as connect to the Internet. This network environment will also enable you to control each device using simple and intuitive touch screens, keypads, or remote controls. We purchase, deliver, and install all products and network equipment. All of the products we offer have been tested and meet Senseworks' high standards for quality, reliability, ease of use and value. Next, we program the control system, train you in its use, and provide follow-up service. The infrastructure we design supports easy, affordable expansion as your lives change and new technologies become available.